If you travel frequently for business or pleasure, chances are that you're always looking for cool and interesting gadgets to make things a little more comfortable and convenient. Several companies that market products designed with the needs of travelers in mind recently sent me their latest and greatest goodies to check out, and I'm excited to let you know about a few of my favorites! I've been searching for a bag that would work just as well as an airplane carry-on as it does for a camping trip. I had started to believe that such a bag didn't exist, but my wishes came true when I received the eBags Mother Lode TLS Weekender Convertible to check out. This soft-side bag just may be the most versatile piece of small luggage available, and it's also an affordable luggage option with a price point of just under $100. 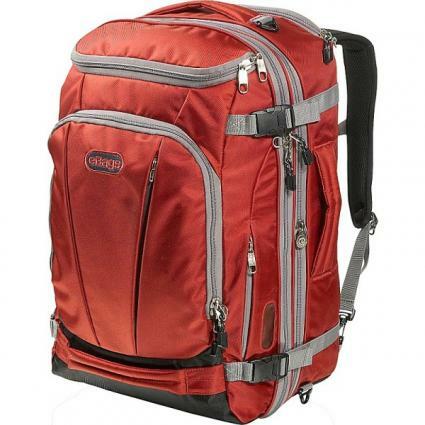 The bag offers multiple carrying options, including a side handle, detachable shoulder strap and backpack straps that can be hidden away in a back pocket while not in use. It has an adjustable padded storage compartment designed to store a small laptop, and plenty of room to store attire for a two or three day trip. Even though the bag's size is compact, it's quite roomy, seeming to expand as more items are added. Because the bag is soft, it's easy to store it a small area, such as an RV cubby, and it's the perfect size for airplane overhead storage compartments. No matter what mode of transportation you are using, a good-quality travel pillow is a must-have for maximum comfort. I have tried many travel pillow styles and designs, and the Therapedic Memory Touch Neck Pillow is by far my favorite of all the items I've used over the years. Not only does the U-shape pillow provide excellent head and neck support (which I first tested on a cross-country car trip from Alabama to Arizona), it's made from memory foam similar to the full-size pillow and mattress that I am accustomed to sleeping on at home. I love the fact that the pillow comes with a hot/cold gel pack that can be frozen or microwaved to provide temperature controlled comfort, something that really comes in handy during long road trips and flights. 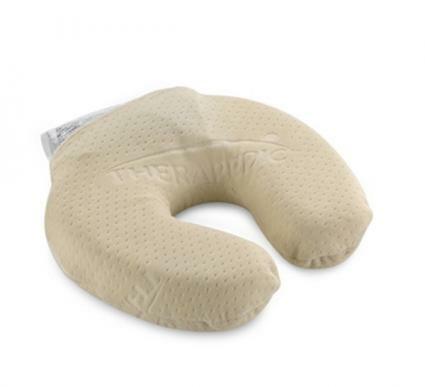 As The Boston Globe reports, this travel pillow from Therapedic "really pampers your neck." The pillow's cover is made of soft, luxurious velour and can be removed for easy machine washing. It is available at Bed, Bath & Beyond for just under $20. For me, comfort is critical when I'm traveling. Since many of my trips are work-related, I am often dressed in business suits when it's time for me to start driving or flying home. While that type of structured apparel is fine for business, it's not ideal for travel, so I usually change after my business day is done. I like to keep a change of comfortable clothes in a small bag so that I can make a quick change into something comfortable before heading home. Chilly Jilly Lounge Pants are a perfect choice for this purpose, as they fold or roll down to a tiny size, yet don't wrinkle. They even come with a convenient purse-size pouch, making it easy to toss them in just about any size bag. These pull-on microfiber pants have a fold-over waistband. The hem is unfinished, so it's easy to cut them to be the exact length you need. 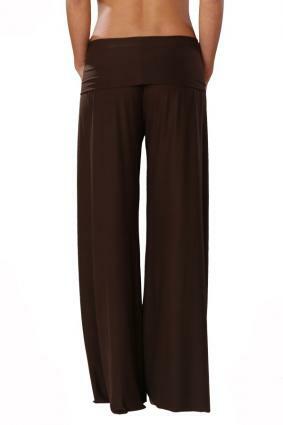 They are available in both black and brown and come in sizes small, medium and large for $45 per pair. The fit is generous, and the soft, stretchy fabric is a perfect option for comfortable travel. 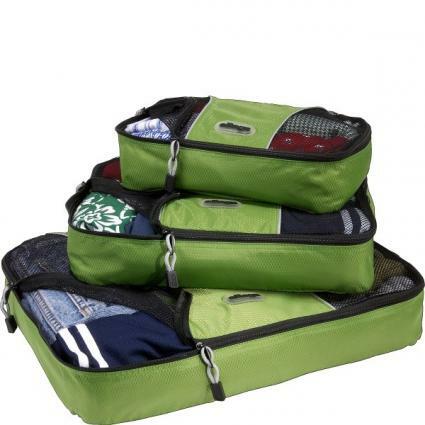 If you're looking for a way to become a more organized packer, you'll be just as excited to discover the eBags Packing Cubes set as I am. This set includes three lightweight nylon bags in varying sizes, ranging from 11" x 6.75" x 3" for the smallest bag to 17.5" x 12.75" x 3.25" for the largest. I received these bags to try just in time for an RV trip from Alabama to Texas. I decided to use the bags to pack items that I often end up scrambling to find when I'm on the road to see if they'd make a difference. I used the large bag to hold exercise attire, the medium one for lingerie and the small one for accessories, and placed all three bags on the top shelf of the closet. Instead of wondering, "where did I put my t-shirts and yoga pants?" every time I went looking for them, I knew that those items were in the large cube - so I could put my hands on them right away. I found the packing cubes to be very helpful for grouping frequently used items in an easy-to-find place, and definitely plan to keep using them. I may even pick up another set. At just under $30 for all three pieces, these packing cubes provide an affordable way to improve packing organization. If you travel by airplane and enjoy wearing fragrance, you'll be excited to discover the Travalo Touch rollerball atomizer. This unique product is TSA-approved fragrance wand that you can fill with your favorite scent. Rather than having to purchase expensive and fragile travel size containers of fragrance to meet air travel packing restrictions, this device makes it easy for you to transport your favorite fragrances in an aluminum container that's easy to refill from any size bottle that you have on hand. Travalo containers cost about $25 each, a cost that you'll recover quickly if you're a frequent flyer who has been purchasing pre-filled travel-size bottles of fragrance to carry along on plane rides. They can be ordered from us.travalo.com, and are also available in a number of stores. Whether you use a manual razor or electric shaver, it can be difficult to keep up with shaving when you're on the road. If this is a challenge that you or your favorite travel companion would like to solve, ShaveTech just might be what you're looking for. With this device, you won't have to deal with carrying razor blades or a heavy electric razor on your travel adventures. That's because ShaveTech is made with a USB power source charging design. 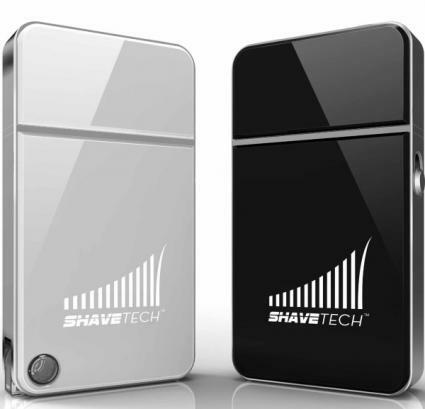 The shaver is about the same size as a cell phone, so it's easy to carry in a backpack or briefcase. It's much lighter than traditional electric razors and doesn't have a cord or clunky wall plug to deal with. Because it doesn't have plug in to an electrical outlet, you can use it just as easily during international travel as domestic trips. Recommended as a "fab Father's Day Gift" by Working Mother magazine, the ShaveTech is sure to be a hit with men who travels - and with the women who accompany them. This handy device can be ordered directly from ShaveTech.com. It's available in your choice of white or black and costs just under $30. An optional AC power adapter is available for around $7. These are just a few of the many great travel gadgets available. Choosing the options that work best for you is based on your unique needs and challenges. The next time you take a trip, pay special note to the little things that make getting to and from your destination more frustrating than necessary. You just might find that one of these gadgets - or another helpful item that's on the market - provides a solution.